BETTER PACK 333 TAPE MACHINE - Riverside Paper Co., Inc. The Better Pack 333 is a rugged, reliable, simple-to-use manual water-activated tape dispenser. 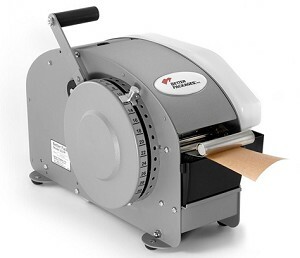 (The Better Pack 333 is also known as a paper tape dispenser, gummed tape dispenser or gum tape machine etc.). The Better Pack 333 has 15 preset tape lengths measured in inches on a dial. The Better Pack 333 product line is the world's #1 selling manual water-activated tape dispenser in the industry.